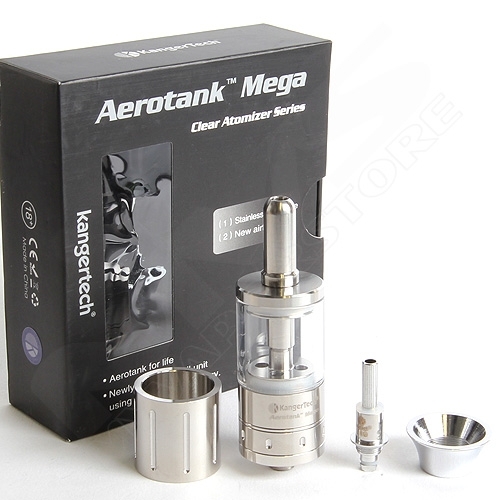 KangerTech has established a reputation as one of the leading suppliers from China, who produce high-quality products at an affordable price to meet the current demands in this fast changing and ever demanding search for increased power, improved safety, innovation, and above all improved functionality over past models. Kanger has apparently taken stock on what innovations and styles have become popular amongst the vaping communities VV/VW device enthusiasts, and designed their new 20w Gravity Mod based upon these findings including a few excellent additions to previous models of their own as we will see! Arriving in a tamper evident plastic sealed and security labeled brown cardboard box, with a magnetic front flap for ease of access, you will find their logo situated in the top left-hand corner on the front cover with the KangerTech name to the right-hand side of it. Middle centre denotes the model name: K-Simar 20 with a graphic image depicting the device, and in the bottom right-hand corner the words Gravity Mod. On the magnetic front flap is their Web address: www.KangerTech.com, which you will also find on the reverse side. The base houses three sections of information. The top third contains safety instructions. Please take the time read these. The middle section contains the contents of what is contained inside, and the bottom third has the manufacturers details, web address and standard safety logos. Situated inside is a black plastic mould housing the K-Simar 20 device. Also included is a white single flat top battery charger with USB connector, a single Sony 18650 high capacity 2900 mAh battery, and the user instruction manual. Please also check the warranty period should any be included with this device when it is released before purchase. This is a pre-production model sent to me by KangerTech for evaluation and review before the full production release, and I have since been informed that the box in its present form may change before launch. The latest updated version to the K-Simar and most powerful variable wattage device in the KangerTech line to date arrives in time to meet the increasing demand for devices supplying higher wattage outputs. With continuous innovation and utilizing the latest technology currently on the market in its design, the K-Simar 20 displays some familiar functions to be found on other larger battery devices, but in a more manageable size. OLED screen for clearer viewing of your devices data in low light conditions. The OLED displays your current wattage at the top of the screen along with the current working voltage, atomizer resistance, battery voltage and capacity. Spring loaded brass battery cap making it easier to insert your 18650 battery for a secure and robust connection. The 18650 battery cell that is supplied with this device has a 2900 mAh capacity. Large vertical heat dissipation holes in the reversible battery shell allow for ventilation of the battery compartment. Short Circuit Protection: The battery will shut down and will not work until the cause of the short has been located and corrected. Atomizer Protection/Cut-off: If the fire button is activated for more than 10 seconds the battery will cut-off.Over-discharge Protection: If the battery voltage drops below 3.2v it will shut down automatically.Reverse battery protection. For a more in-depth look at the functionality of this device, please refer to the included user manual. For the purpose of this review, I have used the Aerotank Mega, Aspire Nautilus, and Kayfun, which fit comfortably on top of the K-Simar 20 with no overhang presenting a clean finished appearance. I also used E-juices from G2 Vapor including their Prime range of juices. Recommended! As we have come to expect from KangerTech products, in general, and the K-Simar 20 being no exception, this latest edition to their product range has provided me with a flawless solid vaping experience during the course of this review. Power on the device with 5xs presses of the button within 2sec’s and with an atomizer attached the display shows the KangerTech logo and takes you into the main screen where you can view the current wattage, resistance, battery level, and voltages. By pressing and holding the button again, it will fire the attached atomizer so you can vape. A ten-second safety cut-off function is also included. To adjust the wattage output value to suit your own personal vaping requirements just press the button again 6xs within two sec’s to enter the wattage settings mode. Tilt the device to activate the gravity sensor either to the left (45 degrees) to decrease the current value displayed on the screen or to the right (45 degrees) to increase the displayed value. While the device is switched on, and to avoid accidentally firing the device a locking function has been sensibly included to prevent the possibility of this taking place. 7xs enters the Exit menu. Tilt to the left (45 degrees) to do so. Menu and tilt the device to the left by around 45 degrees. The window will now display OFF to confirm you have switched the device off. Kanger has created another solid performer in the updated K- Simar 20 watt gravity mod. Operationally the K-Simar performed faultlessly over the three week period I have been using it for the purpose of this review giving solid hits time and again. The spring loaded 510 connector created a flush fit when attaching my Aero tank Mega, Aspire Nautilus and Kayfun to the device as I have already mentioned, and a tapered in 510 top cap helps to improve the overall flush mounted appearance of all three. Clearly, this may not be the case on larger RDA’s so the inclusion of an interchangeable tapered 510 connector may be a worthwhile consideration for future models. Functionality is simple and straight forward to follow, so you should be able to find your way around the device quite quickly and easily after following the instructions in the user guide. The layout of information on the OLED screen is clear, easy to understand, and uncluttered in appearance displaying all the information you will require at a glance. Threading is solid on both the battery cap, and removable battery housing shell, so no rattling within the battery housing was detected either creating a solid and secure feel. The triangular switch was one of the best I have used to date. Easy to find and requiring little pressure to fire it. It also gives a soft but reassuring click, so you are aware that it has been activated. The inclusion of an Illuminated logo on the switch itself or around it would increase it’s stylish appearance even further creating a visual as well as an audible indication when it’s activated. Also, the power supply from the battery to the atomizer is very close to instantaneous providing a better first hit rather than having to wait for your second or third before the coil has warmed up sufficiently to vaporize the E-juice. The all stainless steel finish with deep bronze OLED screen and vertical battery slats creates an ascetically pleasing overall look to the device. Both size and weight for a 20w mod of this type is comfortable to hold in the hand creating a well-balanced feel to it which is a crucial factor for daily use. As I have already mentioned in a previous review Modular designs seem to be the best way forward in offering customers not only the opportunity of replacing damaged parts thereby reducing the added cost of having to purchase a new model, but also an opportunity for the manufacturers to offer some additional options in terms of choice of colour allowing for personal customization of their device. For example, the battery shell could be included in Deep Bronze to match the colour of the OLED surround, Black, or Gold. Also, the style of the shell could be changed in these colours creating a different look and feel for the consumer. The inclusion of the right-hand arrow (in the Exit On display) has no function assigned to it. And the same problem again with the addition of the right-hand arrow in the (System On display) has no function assigned to it either. For the purpose of not confusing the user, I would opt for removing both of the right-hand arrows, or allowing the same assigned functions found on the left to be applied to the right-hand arrows as well if at all possible? To turn the device off needs to have the System On changed to System Off to avoid any confusion in my opinion. A small thing but for new users it would clearly be of benefit. The openness of the battery cell will allow for moisture to access the battery cell, so I would suggest avoiding using it in wet conditions that I do as a precaution with all my mods anyway. So I’m sure their engineers will take note of my comments for future builds as Kangertech is not a company to rest on its laurels, always trying to improve upon the last build for the satisfaction of the vaping community. That’s all for this review with more to come shortly. So stay tuned & Vape Easy! For further details on the K-Simar 20 Gravity Mod, and to enter your unique product security code to identify your devices authenticity, contact Kangertech directly or you’re nearest available vendor. Thanks to KangerTech for providing the Technical specifications for this review and Images of the K-Simar 20 Gravity Mod. Not mawny know thuat by just taking care of your caffeinne intake you can reduce yyour cholesterol level to a greater extent. each merthod for its advantages and disadvantages.